I went shopping today! I just wanted to show you guys what I got. Reviews will come on everything once I've tried them all. My two main purchases were the gel liners. They took me so long to pick out! First, I did a bunch of swatches on my hand. I will probably do a post on these swatches next. I got a ton of pictures in different lighting, so I will post those and I will list out all the colors. I actually wasn't swatching for the blog. 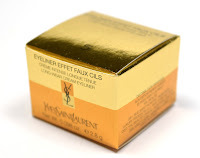 I just wanted to compare gel eyeliners for myself, but it ended up working out both ways. 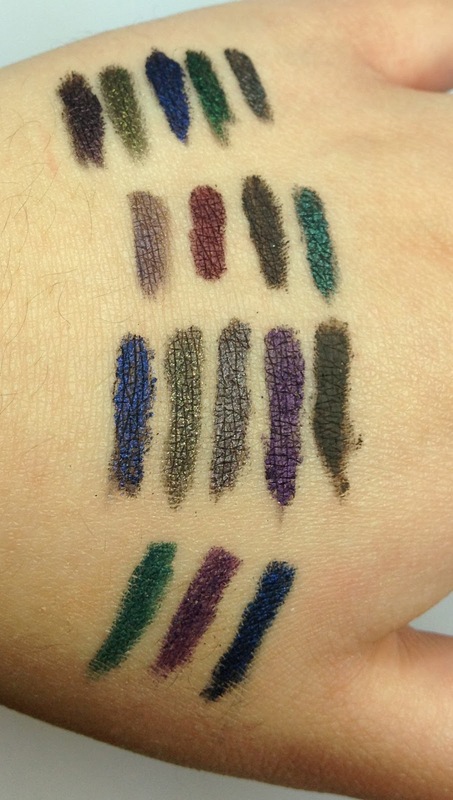 To continue, I swatched all of these, looked at them and thought about it for a while. Held them up against my eyes. And then I went back to Sephora and sat at the counter for like an hour, trying the front runners on my eyes! Good thing the store wasn't too busy today and the sales assistants were very nice. Thanks Ebony! Yepp, I'm really picky and kind of indecisive. But I am so happy about my purchases, I can't wait to wear them out. I got a YSL Faux Cils in Cherry Black 5 (reviewed here). It is also called Black Burgundy - it is a dark purple. 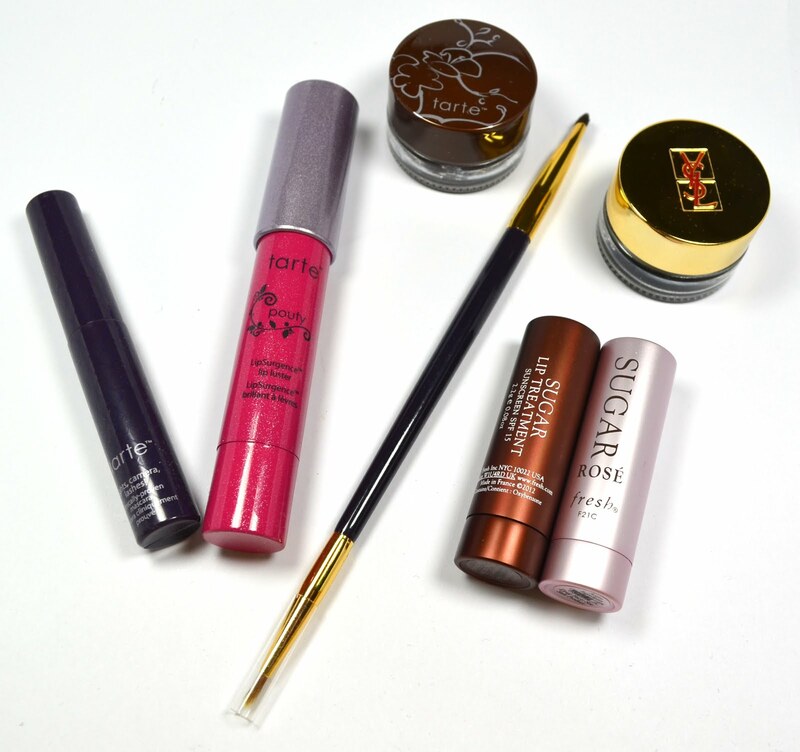 I also got Tarte The Stand Outs set, mainly because I wanted the eyeliner which is $22 by itself. Since the set was $25, I paid 3 extra dollars for the lip thing and sample-sized mascara. Come to think of it, I don't need either of those things. 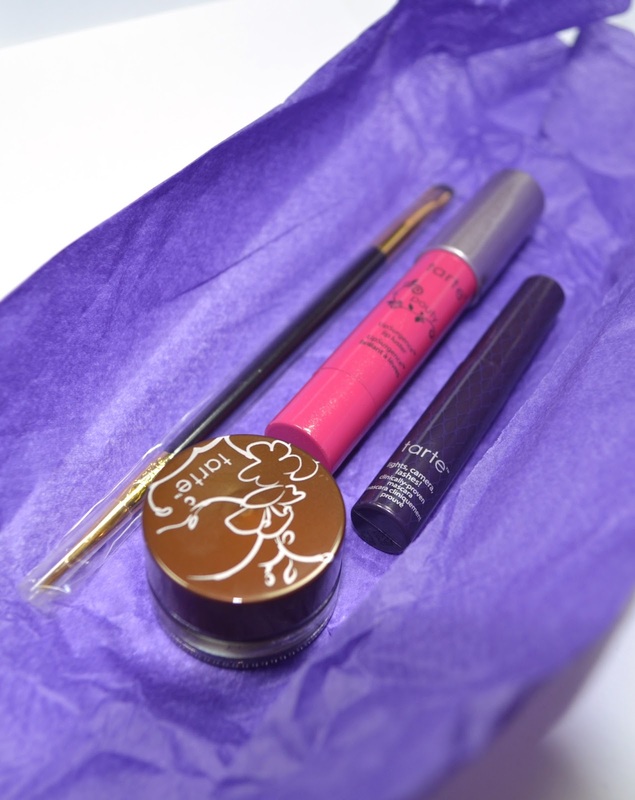 I think I might gift the chubby lip pencil to a friend. There's not quite enough readers on this blog to do a giveaway yet. And my birthday happens to be around this time, so I got the Sephora birthday gift. They officially have the Benefit small mascara and highlighter as the free birthday gift right now. 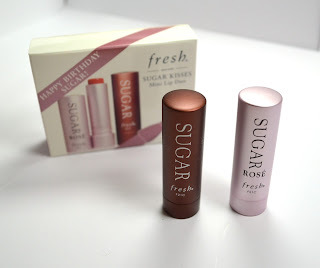 But my store still had these lip balms from the previous official birthday gift. Lip balms will be much more useful to me. In the back of my mind, I am already planning my next round of gel eyeliner purchases. What colors will balance out my collection, what color families don't I have, etc. etc. The heart is never satisfied. Honestly, that's why it's kind of futile to seek purchasing stuff to fulfill you. I was walking through the mall, past a jewelry store with the most beautiful blue diamonds, then past a line of colorful pastel jeans, and then shelves of the tallest and most stylish heels (really awesome designs). I was thinking that maybe someday I can buy them all, and I'll have this wonderful lifestyle where I'm all fantastic in a fancy job that I love and where I can have everything I want. But let's be real, this is life we're talking about. Every single part of your life has to be exactly right for you to have "everything you want". How often does that happen? Maybe in a few fleeting moments, and what, you're "unfulfilled" or "not feeling high-flying" all the rest of the time? That sounds sad. I feel really good about my life sometimes, and those times are when I'm brushing off and not fixating on all the things that might be wrong. I'm not saying that you should pretend like all the bad things aren't there. I'm just saying that how good you think your life is shouldn't be dependent on unreliable things, like whether your friends are nice to you today or whether you can afford gold plated diamond necklaces. Because if your friends snap at you or your gold is chipped, all the work you put into the relationships or into getting that money was all for naught since you're back to square one in the feeling that your life is not as good as you want it to be. In actuality, your life is not that different from how it was before, so fickle things are not a good measure. I think fulfillment has to be found in something good that is unchanging, unlike life, so that your happiness and feelings aren't just riding with the ups and downs of life. How horrible would it be if you go through life always seeking to improve this or that, but you fix one bad thing and another one comes up, so you're never finding that rest, contentment, and fulfillment. The "good life" never comes to stay, and you've just wasted your time and effort trying for it. It doesn't have to be that way. Just put value and significance in something else. Let a "good life" be defined by something else - something that doesn't compensate your time and effort with a smack in the face and a "you're not getting the lifestyle and dream that you were hoping for after all". That just got really deep quick. I just sometimes have to remind myself that objects are nice to have and they make me feel good for a while, but life is not all about that and I have to not get sucked into lala land where a big makeup collection means something more than it does in reality.